Sphere Engine is a platform supporting the processes of education and verification of skills in the field of IT. Our technology allows you to automatically verify programming skills in real time. Sphere Engine allows for remote execution of computer programs in a secure run-time environment. Programs can be executed in one of many supported programming languages ​​(see current list), including: C++, C#, Go, Haskell, Java, Kotlin, Node.js, PHP, Python, Ruby, Scala or Swift. other applications that require a run-time environment. Problems - enabling automatic verification of the correctness of computer programs in the context of a programming problem. RESTful API - a highly configurable way of integration, recommended for building dedicated applications from scratch. Sphere Engine For Education: integration for learning management systems (LMS), see also: education.sphere-engine.com. manage the judging programs (i.e. 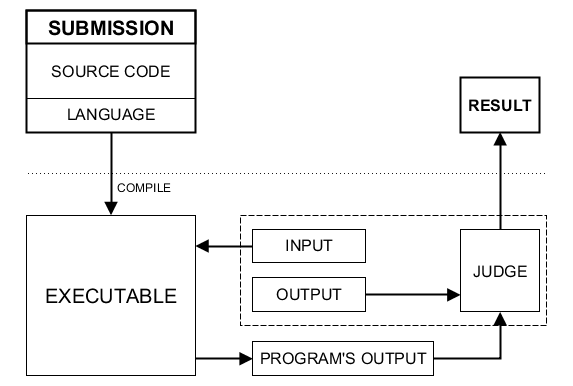 programs directly responsible for correctness verification). 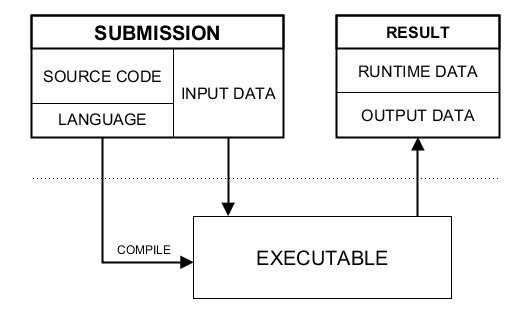 Automated verification of the correctness of solutions to problems works on the basis of the so-called test cases that must be defined when creating a programming problem. The verified program is repeatedly executed (separately for each test case) and the results of all the executions make up the final verdict. a competition platform facilitating the implementation of programming contests. Choose a solution that's right for your project! Depending on the selected module (Compilers or Problems) and integration methods (widget integration or Sphere Engine API), we encourage you to read the appropriate getting started guide and then get familiar with the detailed documentation in the next steps.